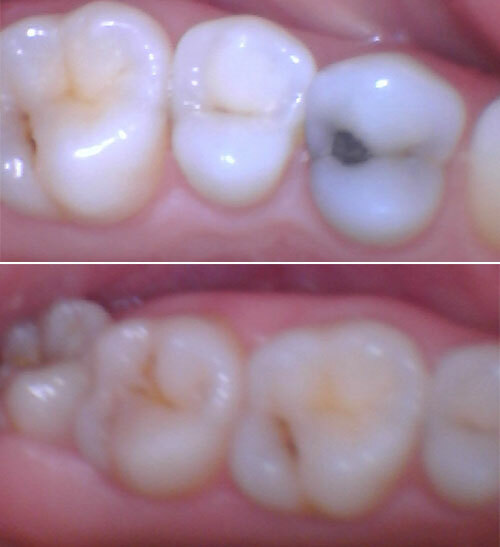 Two Before photos of cavities and old silver filling, two After photos showing results after composite fillings. 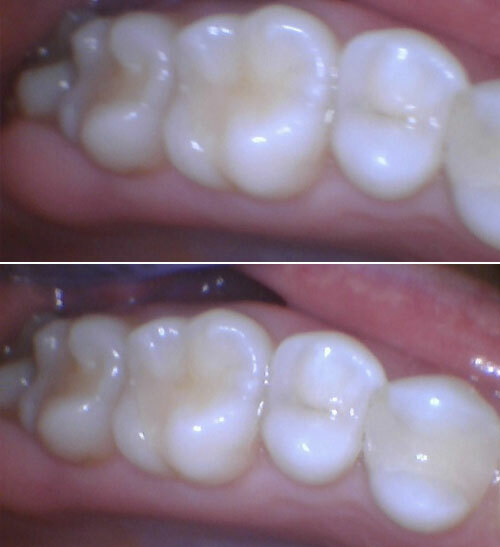 Two Before photos showing cavities on two back teeth, one After photo showing both the teeth in the same photo. 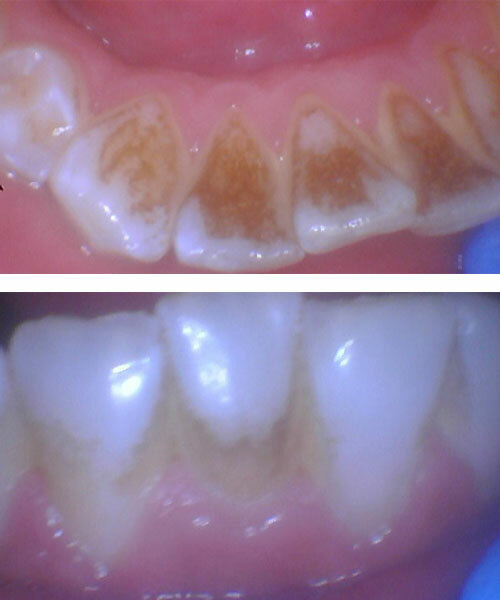 The Before photos show the back view of the bottom front teeth with heavy plaque and stains (aka tartar buildup). 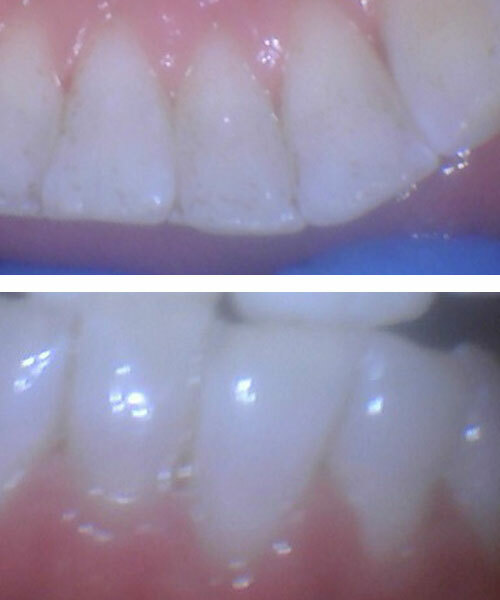 The After photos show how nice and clean the teeth look after a professional cleaning. 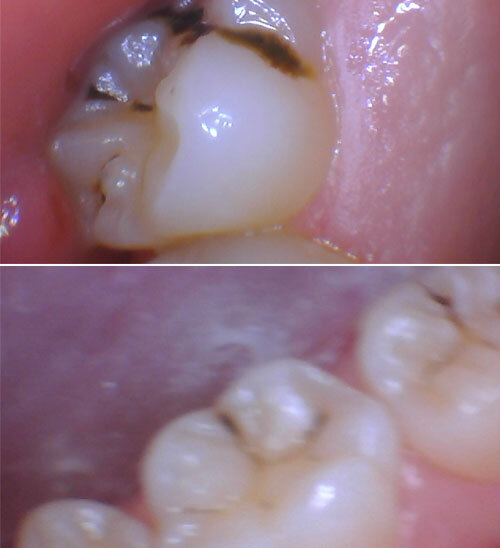 All of our patients compliment us on how gentle our dentist is with her cleanings! 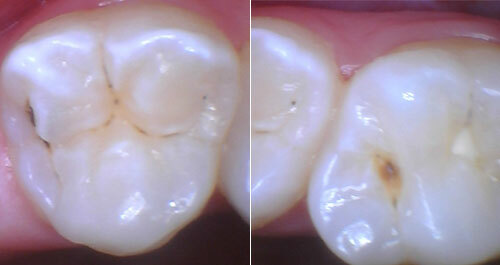 The Before photo shows a broken filling. 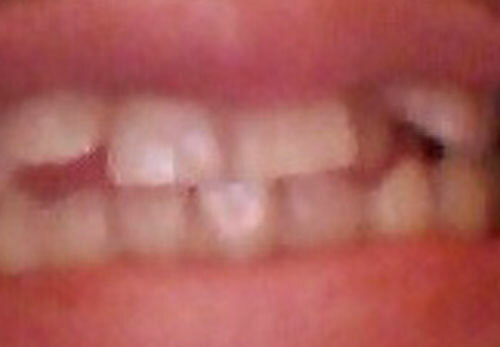 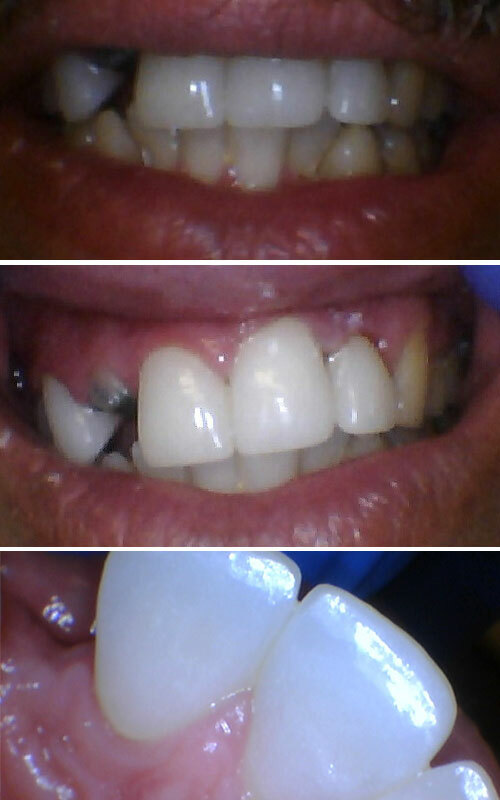 The After photo shows much more esthetic result with a new composite filling. 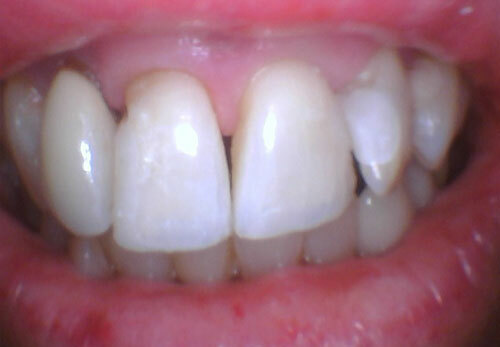 The Before photo shows the effects of what grinding teeth (aka bruxism) and brushing too hard can do to the enamel. 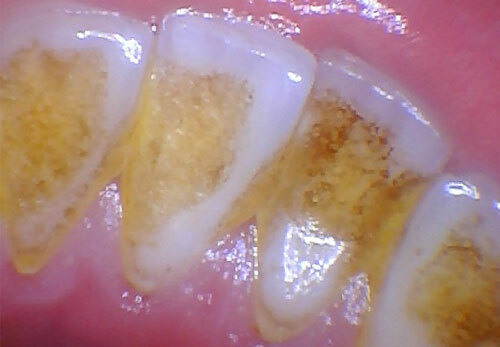 The enamel is worn down by the gumline (known as abfractions or abrasions), which leads to sensitivity and weakened tooth structure. 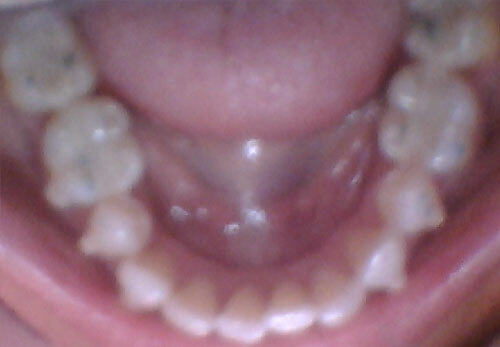 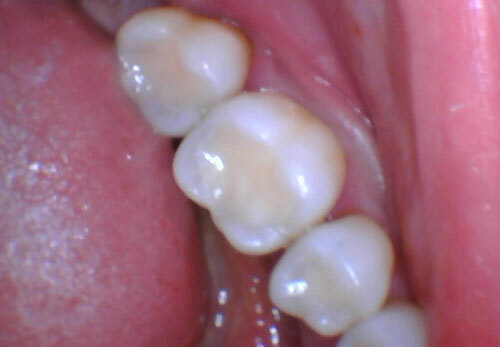 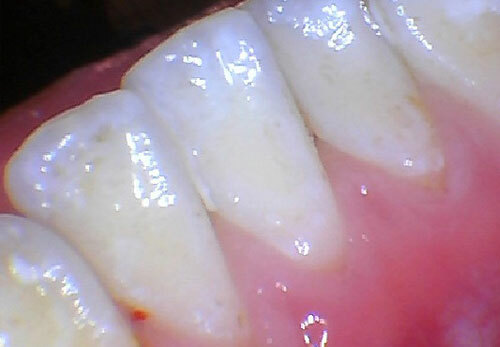 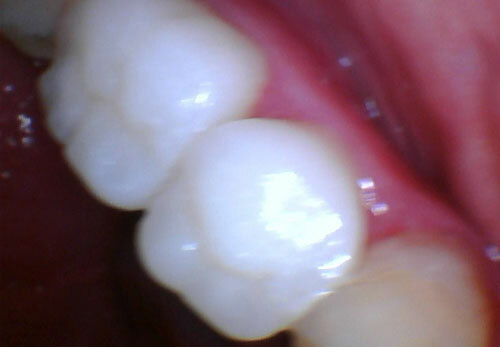 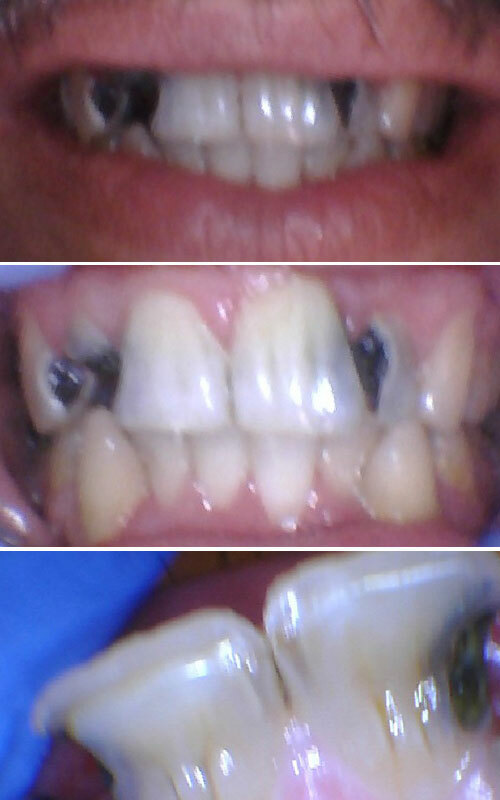 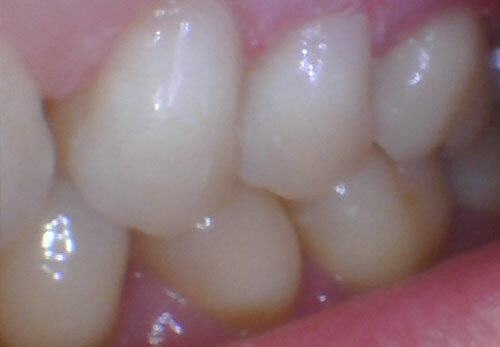 It can be corrected by doing fillings by the gumline which are seen in the After photo. 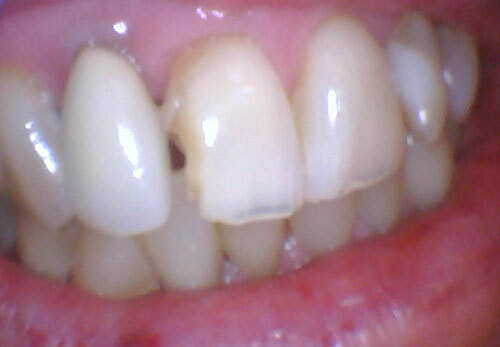 A night guard can also help prevent these damaged areas from coming back. 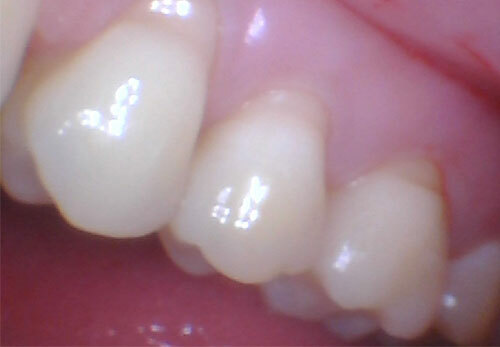 Our office provides custom night guards that help prevent grinding damage, jaw pain, and tooth sensitivity. 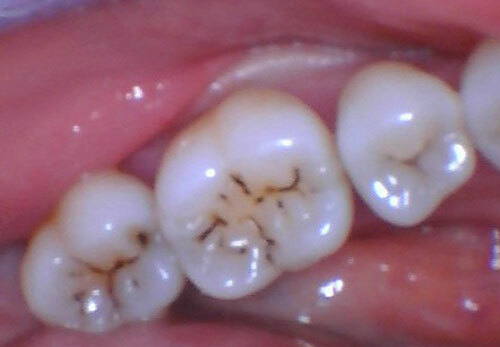 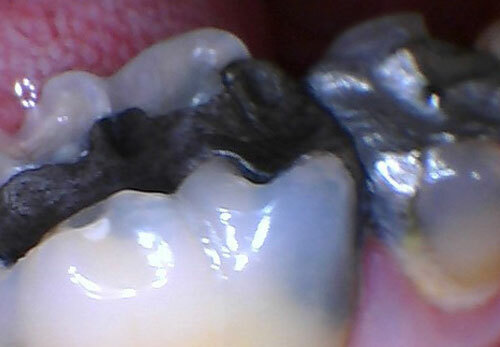 The Before image shows amalgam (metal) fillings which are more likely to break and get cavities. 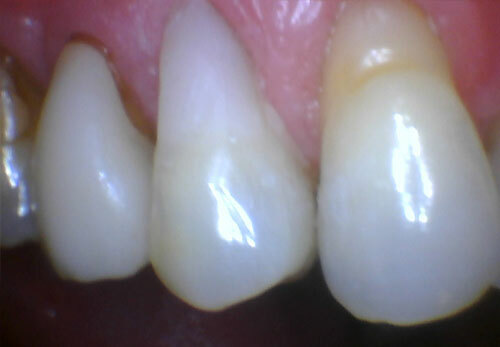 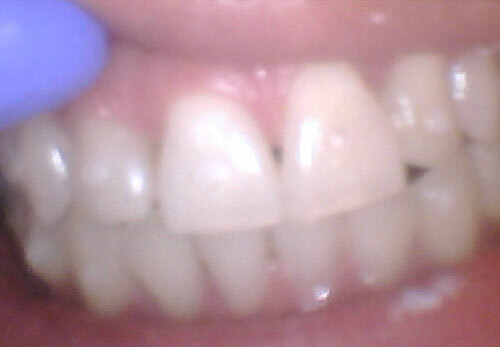 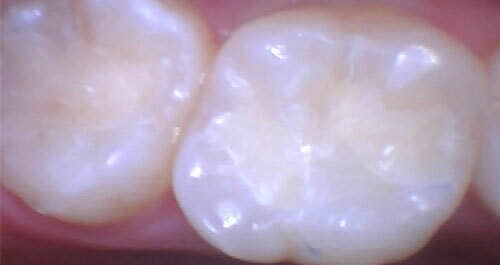 The After image shows the fillings replaced by zirconia (full porcelain) crown. 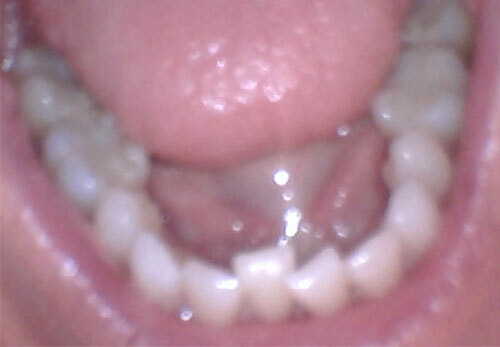 The Before image shows broken front teeth. 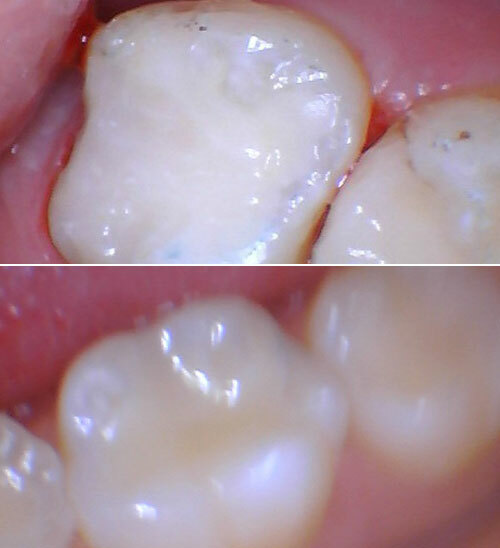 The After image shows how we used composite fillings to do anterior bonding (fillings) to give better esthetics to the front teeth. 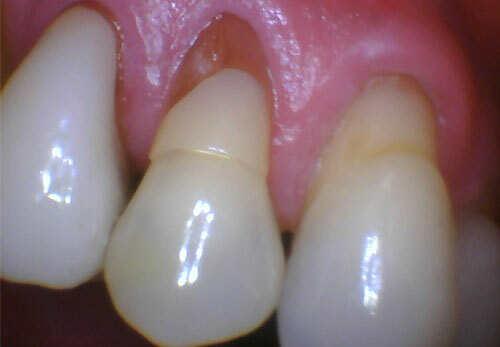 Bonding is also a more conservative treatment option than doing veneers or crowns as less tooth structure has to be removed.